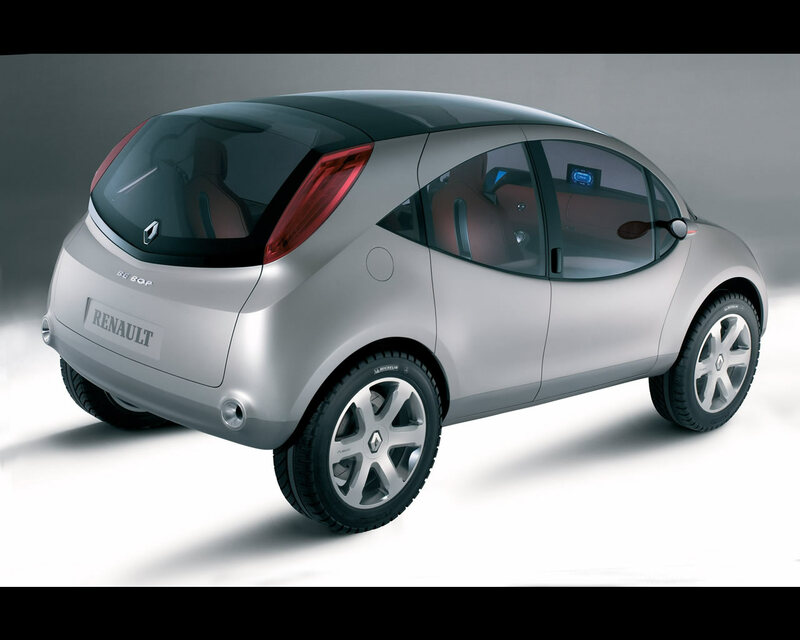 The Renault Be Bop Concept introduced in 2003 is indeed two concepts, one metallic grey four-wheel drive Sport Utility Vehicle and one yellow Sporting Compact MPV. The Renault Be Bop are two interpretations of the compact MPV (Multi-Purpose Vehicle) theme which, with their modern rounded form, are hard to resist. 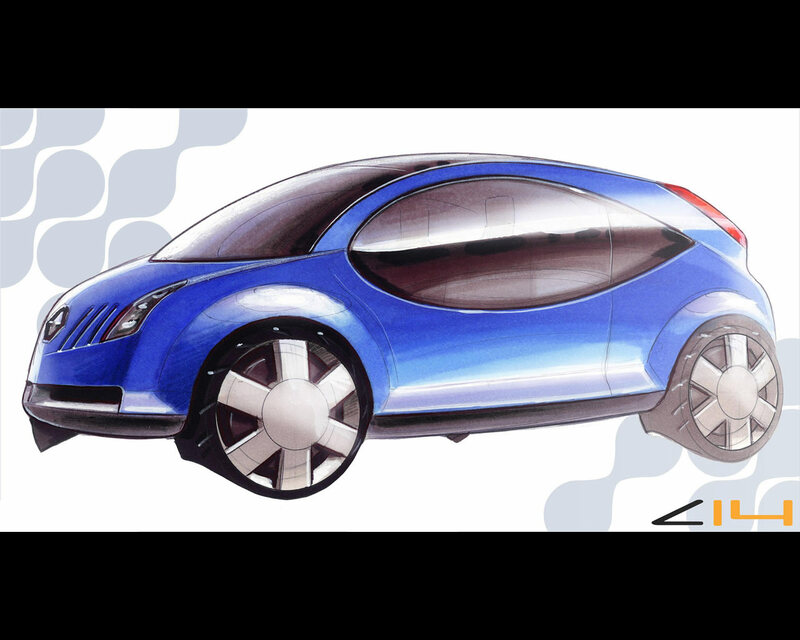 These four meter long cars stand out for their vast glazed surface. 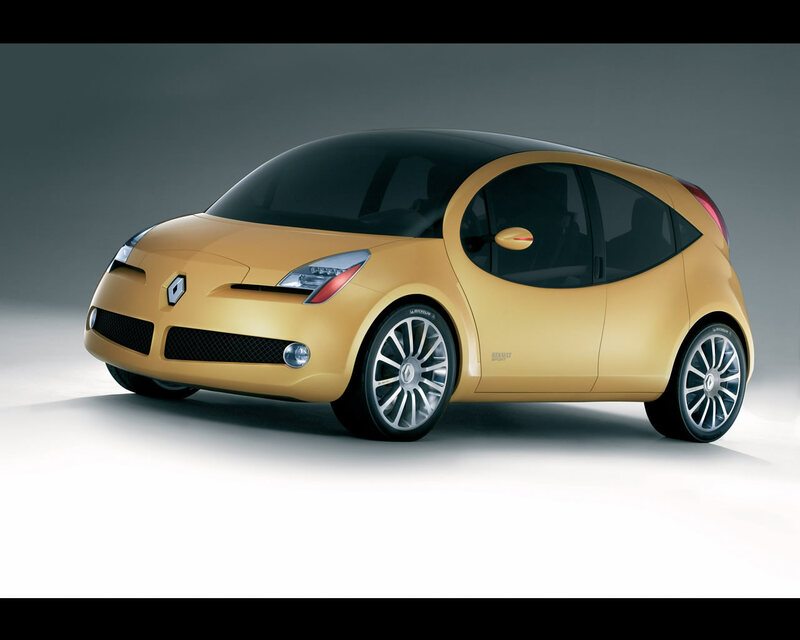 The Renault Be Bop Concept combine rounded forms with structured lines for greater aerodynamic efficiency. Reminiscent of a water droplet, their style suggests movement and sleekness. 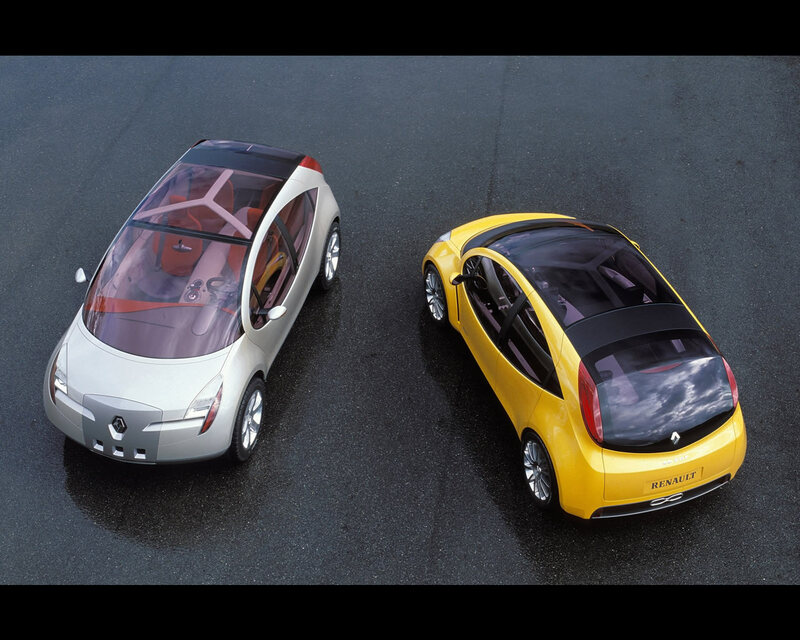 The Renault Be Bop Concept is one single flowing line. The shape of the front and rear wings communicates a friendly yet powerful air. Their curve is extended at the front into a panoramic windscreen that disappears into the immense glazed roof before dropping down to form the V-shaped rear window, resulting in the signature Renault rear end. Exceptional visibility and unique brightness characterize the cabin space, which can also be configured in multiple ways. 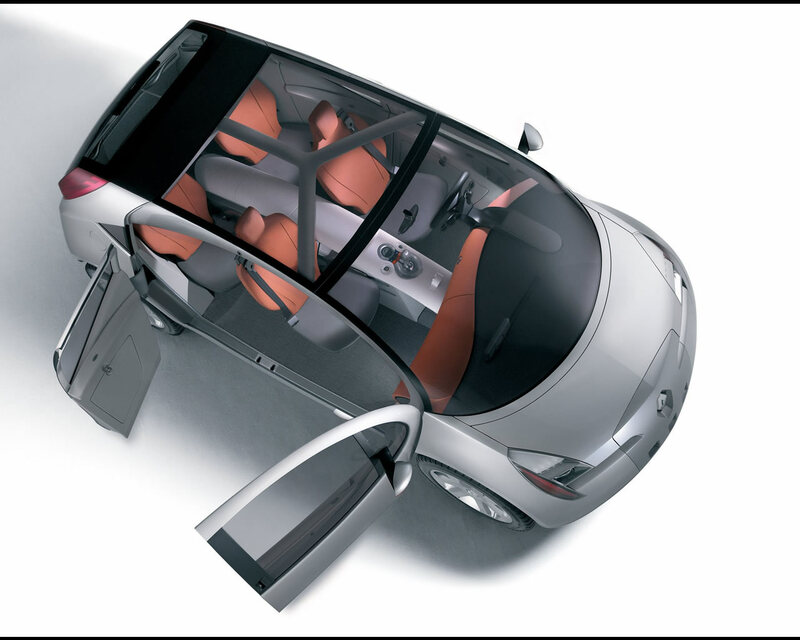 The "Touch Design" concept encourages intuitive use of the controls and has a high level of user-friendliness. 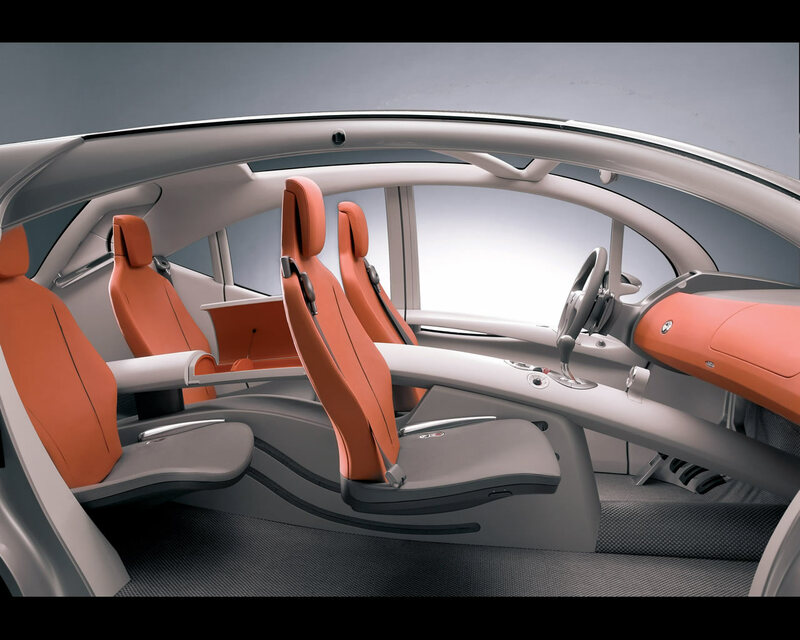 Renault Be Bop Concept (metallic grey colour), 4 metre long, 1.6 16 valve engine, 210 mm ground clearance, four-wheel drive, rear seats can disappear entirely under the front seats with the flick of a switch, slim seats covered with pale khaki/orange leather upholstery. 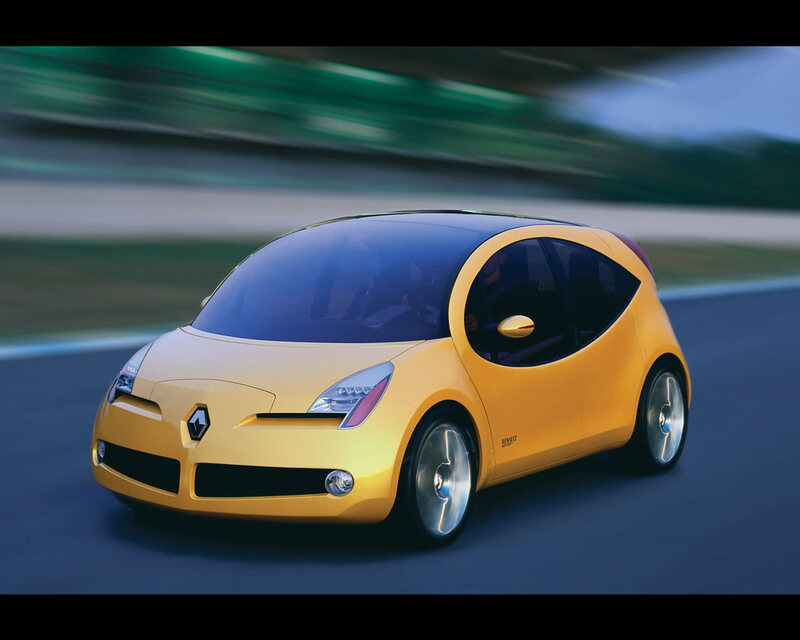 Renault Be Bop Concept (yellow colour), 4 metre long, 225 bhp 2.0 turbo engine, original interior with seats anchored to a central arch, slim black seats with reinforced sides, sporty styled gear level and dials.